In Dubai, this modern new city that flourished and advanced very quickly to become a commercial and cultural hub, you would enjoy many magnificent activities like going to Burj Khalifa Observation Deck. Burj Khalifa is the highest building in the whole world now and would enable tourists who enjoy their Dubai and Egypt tours from India to have magnificent views of the city. Other places of interest in Dubai would include the Al Fahidi Fort. This is considered the oldest surviving monument in all United Arab Emirates. The fort was constructed in 1787 to project the city against outer attacks. Today, it hosts the Dubai Museum that illustrates the whole history of the country. Dubai has much much more to offer to guests from all over the world. Numerous shopping malls that sell products from all over the globe, the hottest hot spots in the region, many other cultural events and exhibitions, and the largest collection of amusement parks in the Middle East. Now after finishing your joyful Dubai trip from India, why not maximize the fun and excitement by a Nile Cruise Luxor Aswan? Flights between Dubai and Cairo are almost every hour and their prices are quite reasonable. Tourists going for Egypt Dubai travel packages from India would have a marvelous time sailing down the Nile from Luxor to Aswan or vice versa. They would get to explore all the wonderful monuments of ancient Egypt including the Karnak Temple, the Luxor Temple, the Temple of Hatshepsut, the Valley of the Kings, Colossi of Memnon, the Unfinished Obelisk, the Philae Temple, the High Dam, the Temple of Edfu, and the Temple of Kom Ombo. 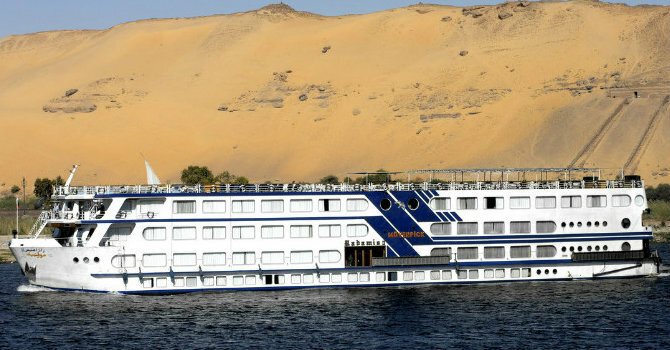 All of this is part of the visits included in the intermarry of the Nile Cruise ships. Over and above, Nile Cruise ships in Egypt offers the highest standards of services and the best facilities making the journey luxurious and full of relaxation and wonders. They also organize entertainment almost every night including belly dancing, Tannoora dances, costume parties, and much more.